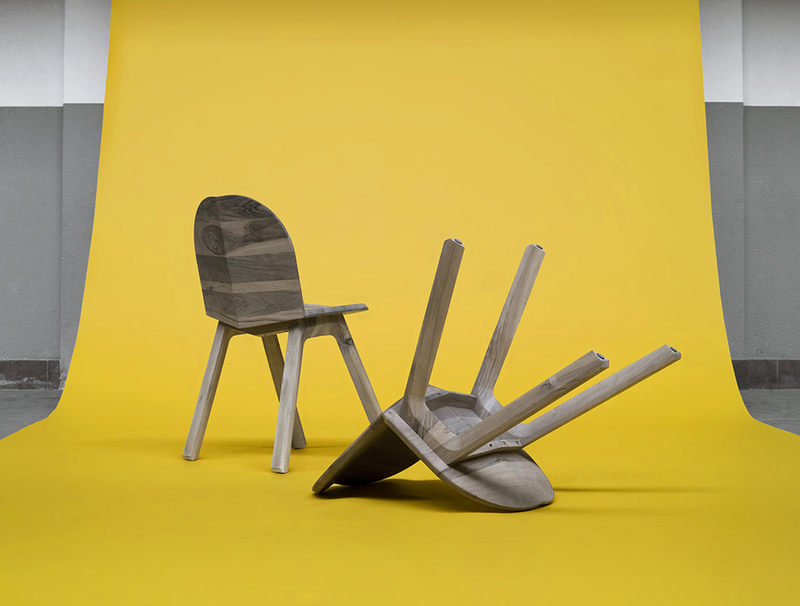 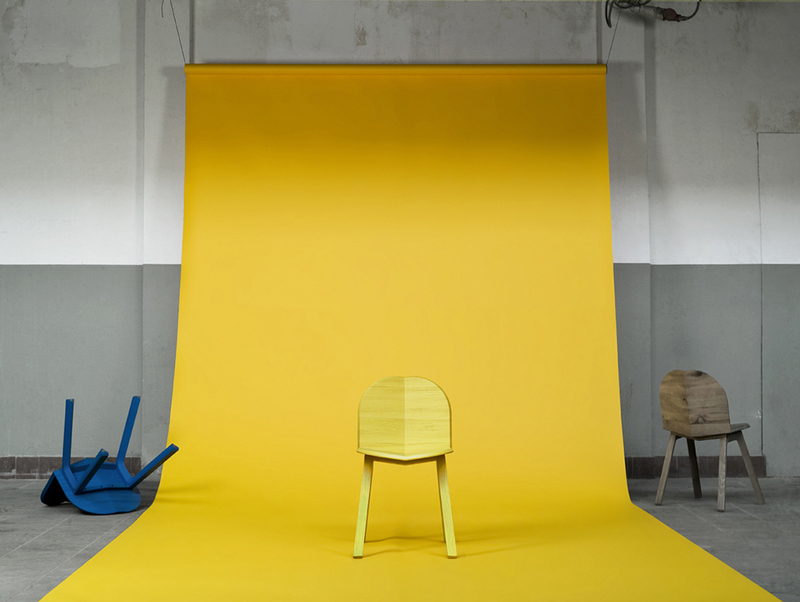 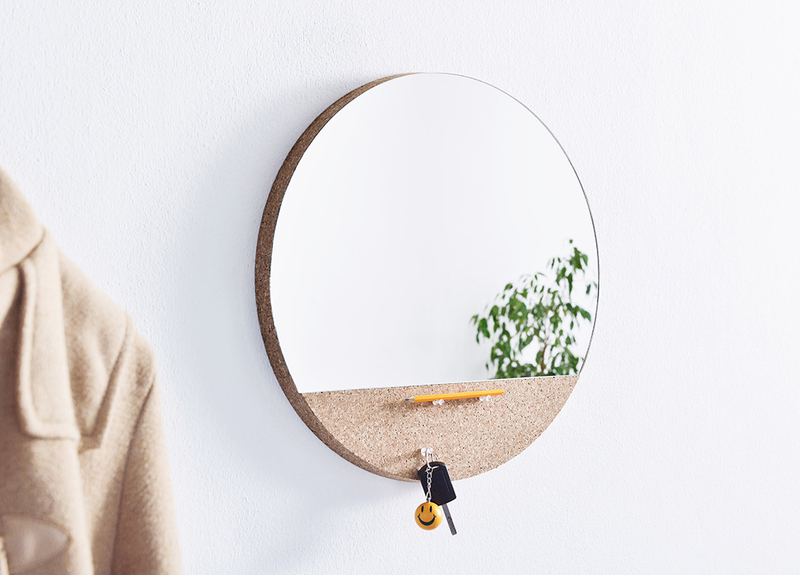 The Sunset Series by Studio Bas van der Veer is an investigation into how an absolute minimum amount of design can result in beautiful and meaningful products. 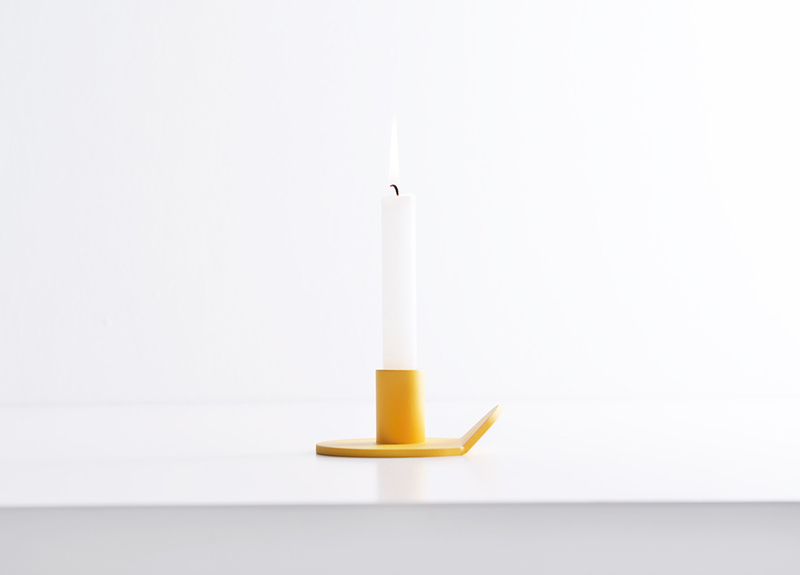 Sunset Candle Holder – A simple fold in the material is all it takes to create a fully functional handle for this robust and utterly minimalistic candle holder. 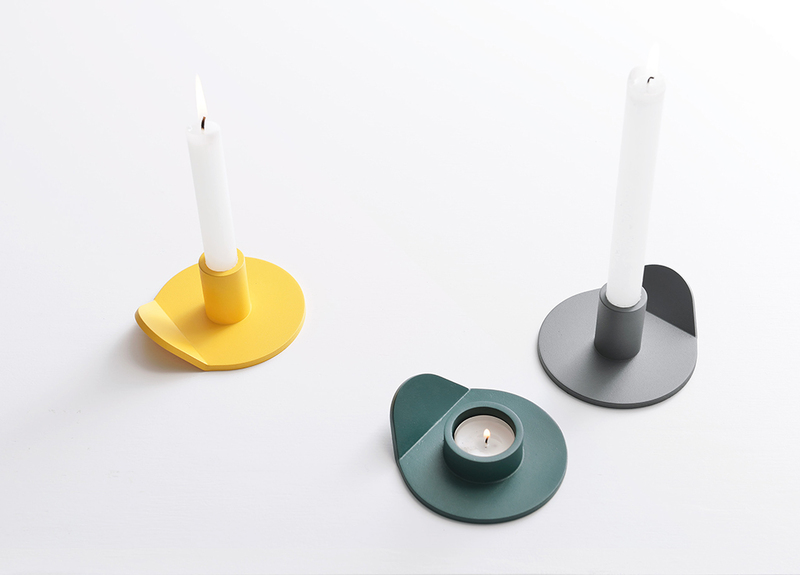 The used material, stainless steel, gives the design a reassuring sense of stability. 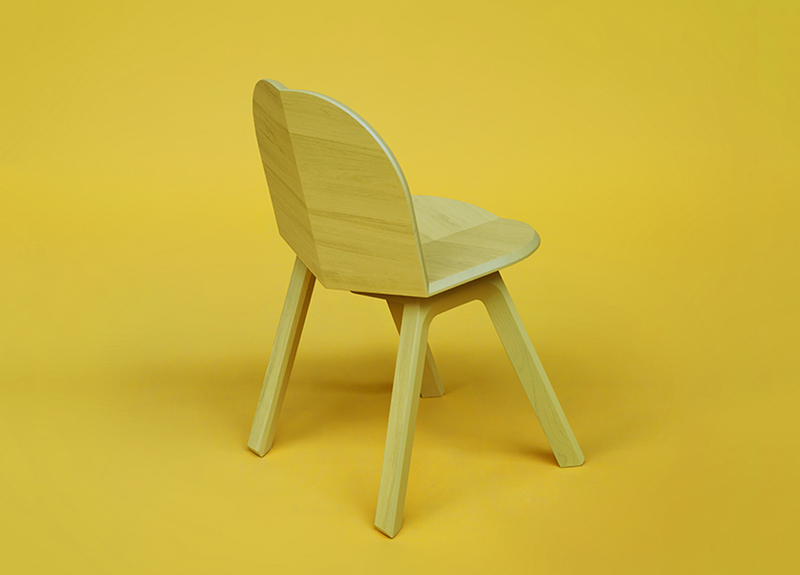 One circle and one or two straight lines are the foundation of this product family. 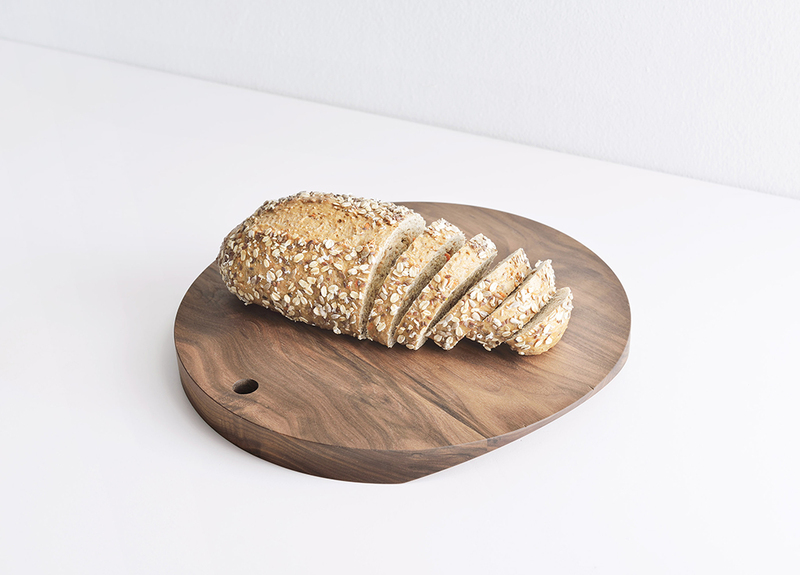 Sunset Chopping Board – An elegant serving tray and chopping board that looks perfectly circular at first glance, but two subtle recessed handles make it very easy to pick up. 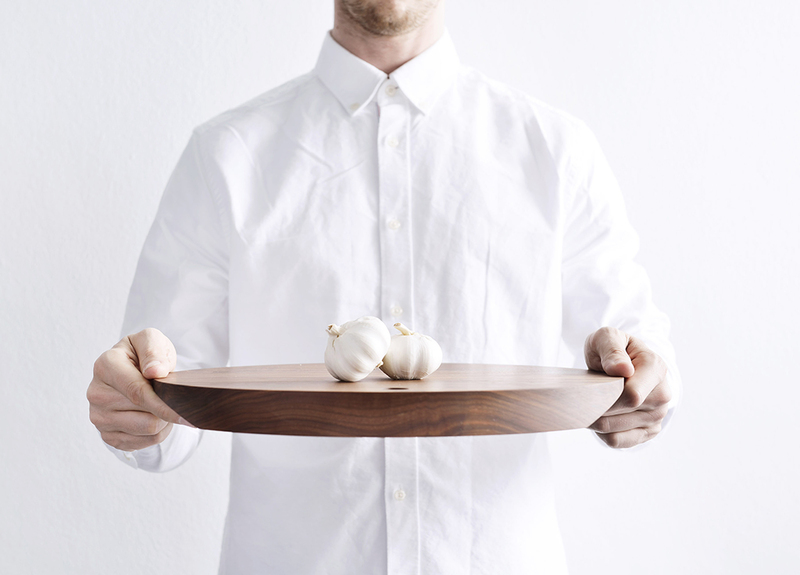 The Sunset chopping boards are made from solid European walnut wood. 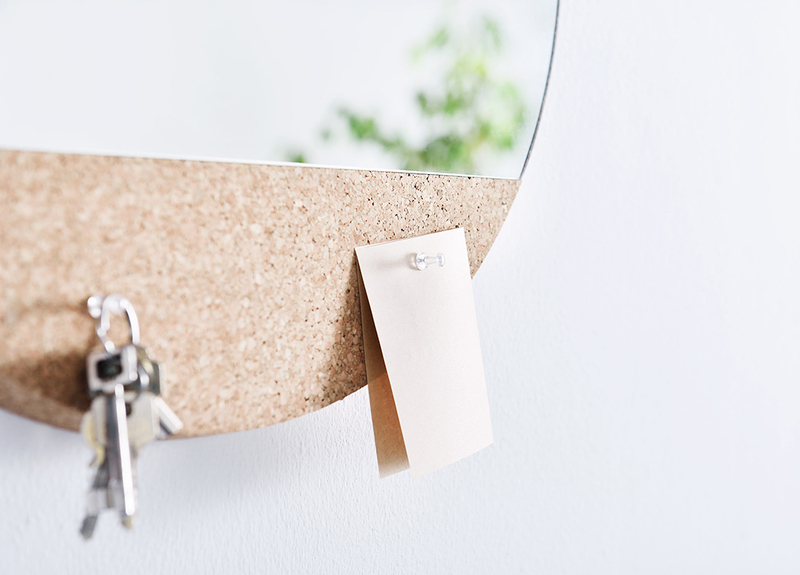 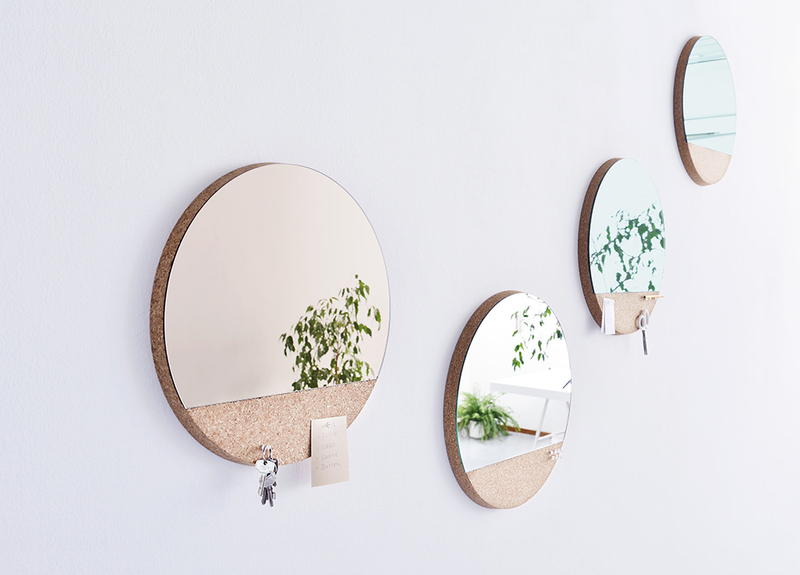 Sunset Wall Mirror – The Sunset wall mirror combines the functionality and the beautiful, natural look of a solid cork pin board with the elegant shimmer of a full-sized mirror that comes in several colors.